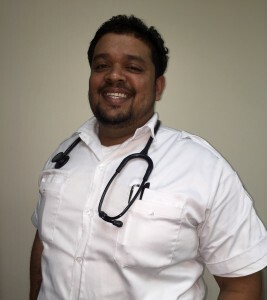 Rakesh has been a part of Global Medical Response of Trinidad and Tobago (GMRTT) for a little more than three years. He is an outstanding clinician, who often exceeds his patients’ expectations. His dedication to patient care and job excellence is evident in the level of enthusiasm he puts into each call. In October 2015, Rakesh was honored by GMRTT at its Tenth Anniversary function. He won the “Adrenaline Junkie” award. He was resoundingly nominated by his peers, amongst whom he is well respected. He often dedicates his time to coaching colleagues and new team members to ensure their growth and success. Rakesh is also a member of GMRTT’s Ebola Response Team, which was critical to the management of the pandemic in Trinidad and Tobago. In 2015, he enrolled in the organization’s Paramedic Training Program to advance his skills in the EMS field.